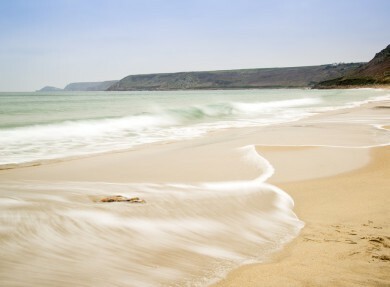 Abandon the car, ditch your mobile and just kick back in Sennen Cove. About as far west as you can get, this refreshing cul-de-sac of Cornwall has retained much of its original character. Here life ebbs and flows with the tides and a small fishing community still lives in granite houses that sit in terraces on the hillside. Adventurers will love the surfing here. Whether you’re a beginner or an old hand the large rollers and swell make for great surfing conditions and there’s a couple of schools offering lessons. You might even find yourself sharing the water with the odd seal or dolphin. 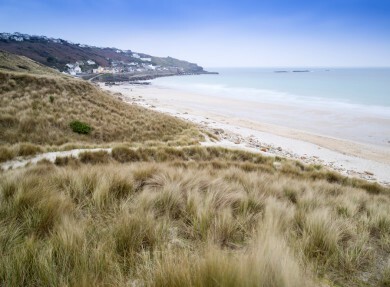 Sunseekers will find a glorious, white stretch of beach, sheltered by the sand dunes. Walk as far as the lifeboat house to find a quieter spot. Watch the sun sink below the horizon as you enjoy a beach barbecue of fresh fish bartered for on the pier. 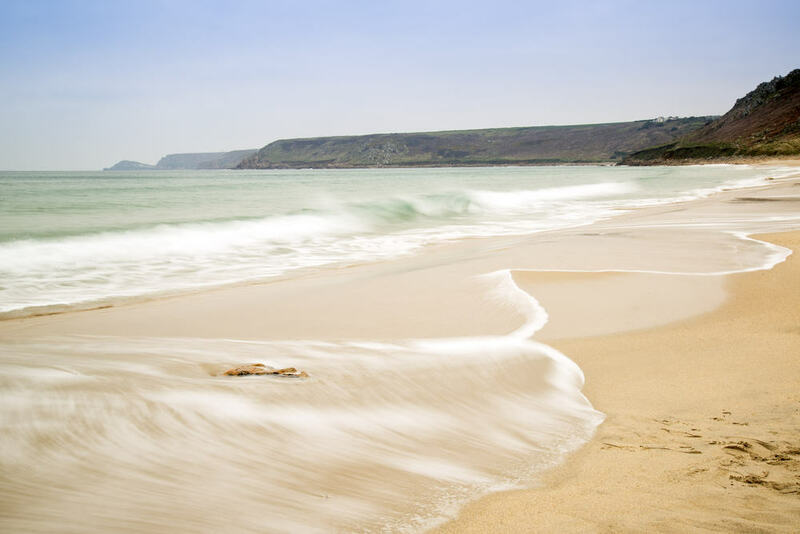 A truly picturesque place to see and visit in Cornwall. Taking the plunge into crystal clear turquoise waters. 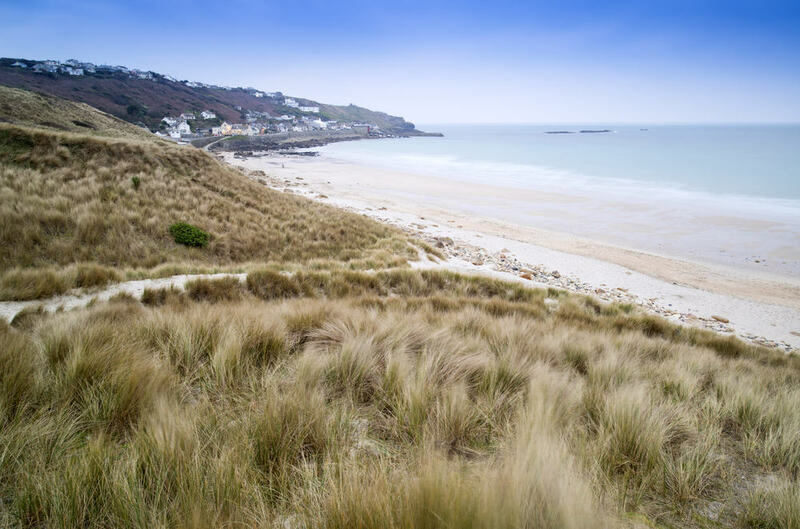 The sand here consists of tiny white pebbles… so there’s no muddying to spoil your dip. From artisan breads to unique, locally made souvenirs, the Tuesday morning farmer’s market at the Sennen Community Centre is one of the best in Cornwall.